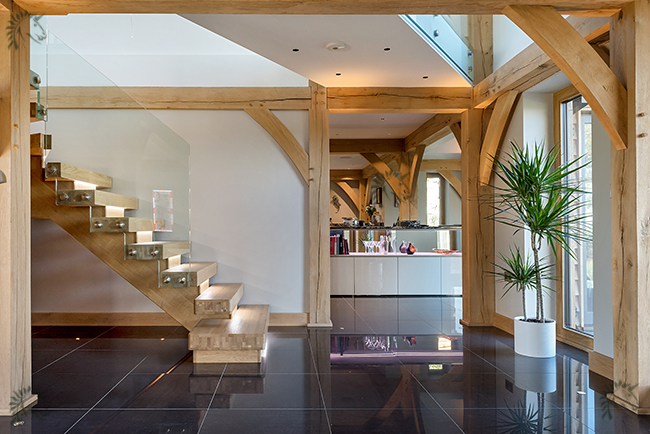 The X-Vision staircase is available with a number of options, on this page you can see the X-Vision with the Frameless Glass Balustrade option. The Frameless Glass Balustrade Option upgrades the the Glass from 10mm Toughened to 17.5mm Toughened and Laminated Glass. 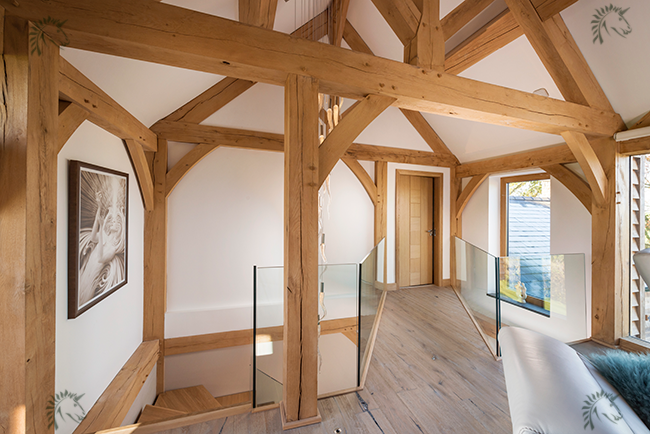 The newel posts and handrails are removed leaving a more minimalist look. 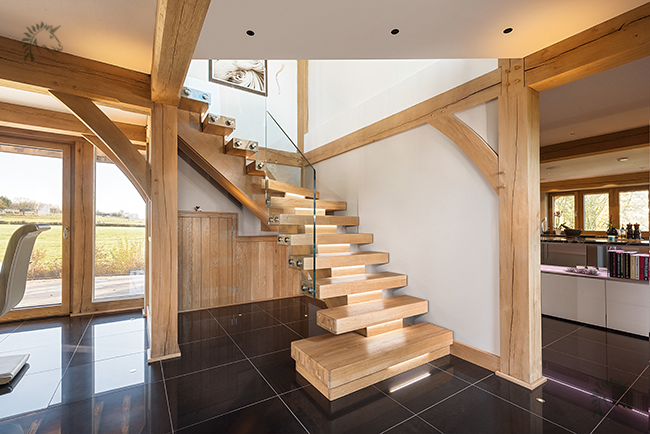 This oak X-Vision staircase also has the LED lights option where the lights are set into the treads. The Bottom step is the optional double go curtail step. 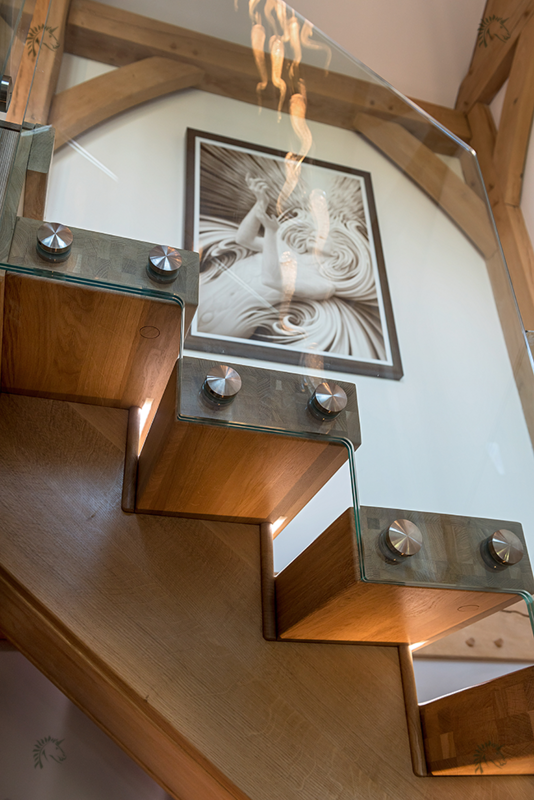 The Glass on this staircase is stepped folowing the treads and fixed with a Twin XV-BRAC stud detail. 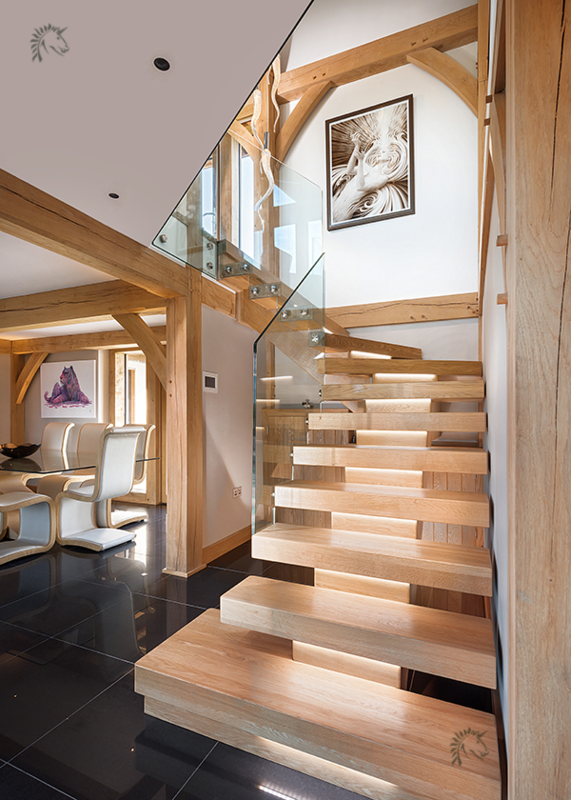 The Chunky design of the X-Vision staircase works well in Oak timber framed buildings. 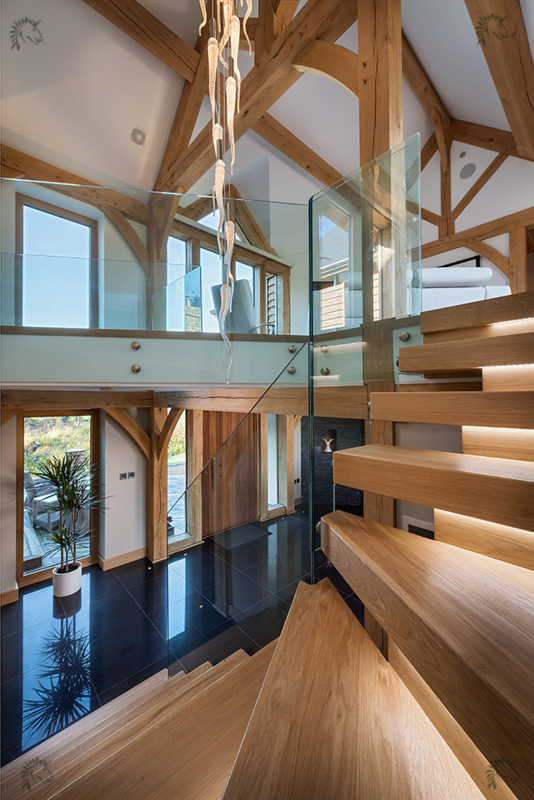 This Staircase was also supplied with Frameless Glass landing balustrade panels to complete the minimalist look the client was looking to achieve. 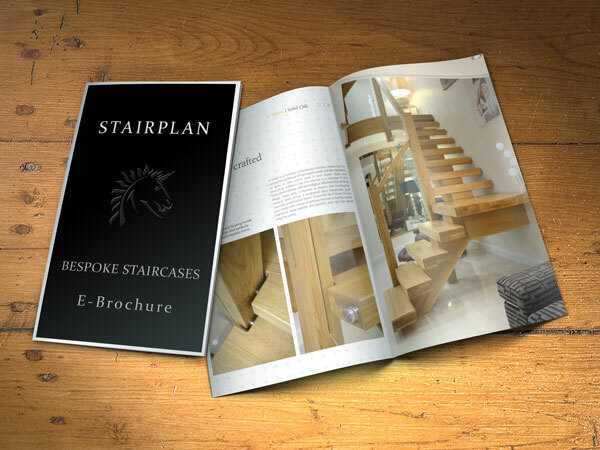 As standard all our staircases come in a Raw Sanded finish, this staircse was supplied with the optional 2 coats of clear lacquer sprayed in the factory. Ask about our New Textured tread finishes for assistance with Anti-Slip.